Recently I’ve noticed that every time I open an Excel document from my OneDrive sync folders, I’d be prompted with one of two messages/warnings. One was “Upload Pending” and the other was “SERVER FILE UPDATED. A newer version is available” with a Reopen Document prompt. 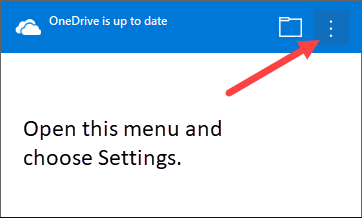 This has been happening in nearly every single document I open from my OneDrive folders. It is super annoying! Here’s the first message, which pops up at the bottom of my screen. Often times as soon as I see this, I will close the document and re-open it myself right away to see if it would clear the message. Generally, that’s when the second prompt would come up, upon re-opening the document. On this message, I ALWAYS click on Reopen Document and even then I was still prompted with a message about it being read-only unless I wanted to edit it. If it happens rarely it’s not a big deal but every. damn. time… it’s far too frequent to live with this issue so I had to find the solution to this. I am in and out of Excel all day long in my role and this was bugging the crap out of me. How it appears to be resolved for me is turning off the File Collaboration feature for Office 2016 on OneDrive settings. To get here, look in your taskbar for the OneDrive icon (blue or white depending on if it’s OneDrive for Business or personal). Click on that cloud icon > click on the 3 dots to open the menu > click on Settings. 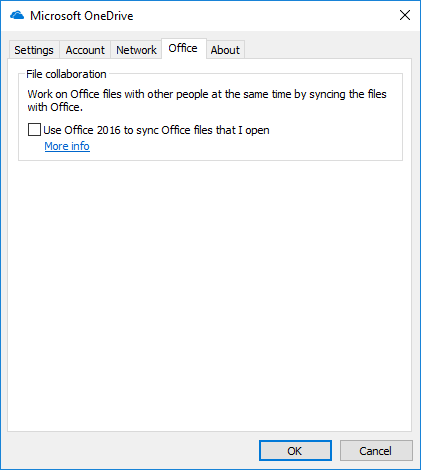 In Settings, click on the Office tab and uncheck “Use Office 2016 to sync Office files that I open”. For reference, this it the build number of OneDrive I am currently running: Version 2018 (18.065.0329.0002). This feature is for enabling “file collaboration” as the subheading indicates. 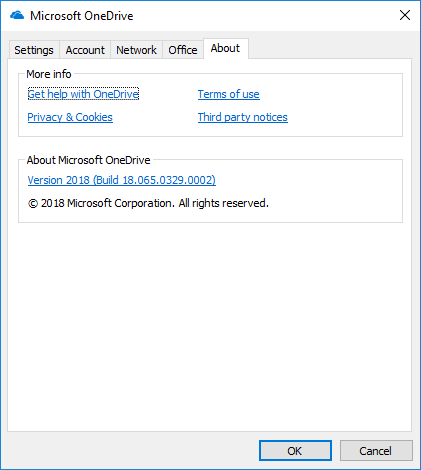 This allows you to share and co-edit Office 365/OneDrive files right in your favourite Office applications to let other people work with the shared documents at the same time. By disabling this, I will lose that collaboration feature but very few people in my organization are using Office 365 at the moment anyway. When the feature is enabled, there is a choice of what to do if there is a sync conflict – asking the user whether to keep both copies or merge documents or to automatically keep both copies. In my case, from time to time when it was enabled I was getting that prompt too, for conflicts, even though I *only* edit these files when I am at work on one computer… it never made sense. It seems like a case where the feature perhaps isn’t quite ready for prime time yet but I will hopefully remember to watch for future builds of OneDrive and Office and try enabling this once again. In the long run, collaboration is a good thing! OMG! I love you for posting this!!!! THANK YOU!!!!! I was going into murderous rage over OneDrive!!!! !